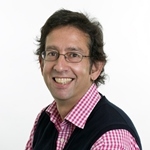 Giles Mohan is Professor of International Development at the Open University and a co-investigator on the project Oil, governance and inclusive development in Ghana and Uganda. His main role in this project is the Ghana study and investigating the comparative links between Ghana/Uganda and Chinese oil firms. Giles’ recent work concerns the role of China in African development. In 2007 he received an ESRC grant titled ‘The politics of Chinese engagement with African “development”: Case studies of Angola and Ghana’. This was followed in 2010 by a new ESRC grant on Chinese migrants as agents of development, and another as part of a network under the ESRC’s Rising Powers Programme. Giles previously worked on diasporic developmental impacts, based on both theoretical work and case studies of the Ghanaian diaspora in the UK and its links to Ghana. This concern with the role of migrants in local development evolved out of his work on decentralised and participatory development, which is an ongoing interest. Hickey, S., Abdulai, A.-G., Izama, A. and Mohan, G. (2015). ‘The politics of governing oil effectively: A comparative study of two new oil-rich states in Africa‘, ESID Working Paper No. 54. Manchester. Mohan, G. and Pumpuni Asante, K. (2015). ‘Transnational capital and the political settlement of Ghana’s oil economy‘, ESID Working Paper 49. Manchester. Mohan, G. and Pumpini Asante, K. ‘Transnational capital and the political settlement of Ghana’s oil economy‘, ESID blog, 7 July 2015. Mohan, G. (2014). ‘China in Africa: Impacts and prospects for accountable development’, in B. Bukenya, S. Hickey, and K. Sen (eds. ), The Politics of Inclusive Development: Interrogating the Evidence (New York: Oxford University Press). Mohan, G. (2012). ‘China in Africa: Impacts and prospects for accountable development‘, ESID Working Paper 12. Manchester. Mohan, G., Asante, K. P. and Abdulai, A.-G. (2017). ‘Party politics and the political economy of Ghana’s oil‘. New Political Economy 23(3). Mohan, G. (2013). ‘Beyond the enclave: Towards a critical political economy of China and Africa’, Development and Change, 44(6): 1255–1272. Mohan, G. (2013). ‘”The Chinese just come and do it”: China in Africa and the prospects for development planning’, International Development Planning Review, 35(3): v-xii. Tan-Mullins, M. and Mohan, G. (2013). ”The potential of corporate environmental responsibility of Chinese state-owned enterprises in Africa’, Environment, Development, and Sustainability, 15(2): 265-284. Mohan, G. and Lampert, B. (2013). ‘Negotiating China: Reinserting African agency into China-Africa relations’, African Affairs, 112(446): 92-110. Giles is on the council of the Development Studies Association. Visit Giles’ Open University profile. View a full list of items authored or edited by Giles Mohan.